That’s a line from one of the songs on Aaron McDonnell’s latest EP called “Life Sounds Easy On The Radio.” Tell you one thing, Aaron, this gal really digs your style, and she’s gonna try her best to pull some more fans out of the woodwork for you! The seven-song EP, “Lucky Me,” was released late last year, and again, it’s quickly become another favourite of mine. Aaron brings a fresh, yet familiar take to country music. It’s one we haven’t heard on country radio in years, and it’s certainly one we’re welcoming with open arms. His lyrics bring to mind the artists he’s so heavily influenced by, while his sound makes him a fantastic contender for the airwaves. The son of a mill-working father and a God-fearing mother, Aaron was born and raised in the Willamette Valley of rural Oregon. He found himself surrounded by the music of the older generation of country singers thanks to his grandmother. Buying his first guitar at the age of fifteen, Aaron jumped right into the world of music learning to play everything from Garth Brooks to Nirvana. It was, however legends like George Jones (Aaron formed a band called “The Grandtours” paying homage to Jones’ hit “The Grand Tour” in 2009), Conway Twitty, and Johnny Cash that captivated and steered his style. 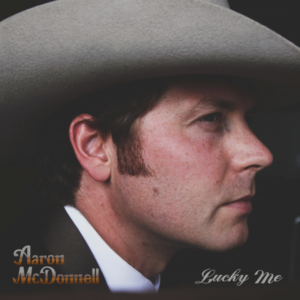 In 2013 Aaron went solo and released four EPs, “Lucky Me” is his most recent. 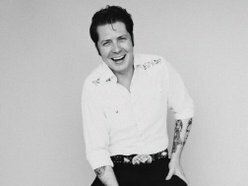 The title track also happens to be the first track on the album, and it pulls you right in with its unmistakably stereotypical country sound. It’s a work of art, really; sarcastic and catchy. There’s no way you can sit and listen without tapping your foot. Believe me, I tried. Mainstream country could take some pointers from Aaron because this same style flows throughout the entire album. 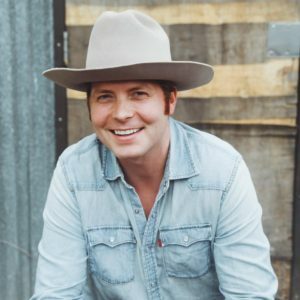 His songs sound like something you’d hear from Haggard or Strait; they’re even reminiscent of 1990s Yoakam. There’s really not much more I can say about this album except that you should give it a listen and let it speak for itself. See if you dig his style as much as I do! P.S. The woman with the amazing voice singing on “Forever” and “Honky Tonker,” as well as singing harmony for nearly every song, is Aaron’s lovely wife, and muse, Dani! We’re absolutely obsessed with your voice, lady!